Please join me in celebrating the release of my new book The Church in Prophecy and History. It is actually a commentary on the first three chapters of Revelation. As you may know we have been writing this book a few pages at a time for the past year and a half, and have posted it in the “Rejoicing in Revelation” section on Prophecy Central. Visits by more than 30,000 readers have encouraged us to keep this project going. I have a passion for the church that Jesus established. When I was only 14 years old I felt the call to the ministry. After 50 years as a pastor I have seen the incredible attacks of our culture against the church, and have celebrated its valiant effort to hold back the tide of immorality. This book will help you understand our Lord’s plans for His church. He foretold the major developments of each of seven periods of Church History. The book shows the numerous advances during the past 2000 years that have helped fulfill the Great Commission, and the unfortunate mistakes that were made along the way. It will give you insight about where the church is today, and why we can expect another great revival in our generation. 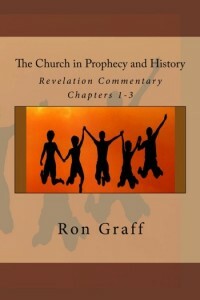 This entry was posted in Apologetics, Apostasy, Church, Church History, Eschatology, Evangelism, Missions, Persecution, Rapture, Revelation, Revival, Wars and tagged Apologetics, Bible prophecy, Christian apologetics, Christianity, Church, Church History, Rapture, Revival, The Church in Prophecy and History, The Revelation of Jesus Christ. Bookmark the permalink.